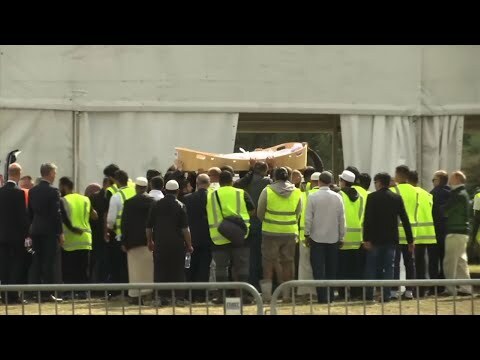 An imam says he’s expecting thousands of people at an emotional Friday prayer in Christchurch, New Zealand, a week after a gunman killed 42 people at his mosque and 50 people in all. Gamal Fouda says he’s been discussing plans for the prayer with city officials and lawmakers and expects it will take place in a large park across from Al Noor mosque. Fouda says he’s expecting 3,000 to 4,000 people, including many coming from abroad. He said members of the Linwood mosque, where the gunman killed seven people, also would attend the joint prayer. The UAE’s National newspaper said Wednesday the employee was believed to be a security officer whose Facebook post celebrating Friday’s shooting included reference to a deadly attack on Indian soldiers in Kashmir last month. New Zealand’s deputy prime minister has expressed condolences for Indonesian victims of the Christchurch mosque attacks. Peters also expressed his appreciation of Indonesia’s support during a difficult time for New Zealand. Earlier Indonesian Vice President Jusuf Kalla expressed his gratitude that the suspect in the killings of 50 worshippers at the two mosques last Friday was arrested quickly. Saying “our country changed forever,” Peters vowed the government would not detour from the sight of the victims and that questions about gun reforms would be answered quickly.